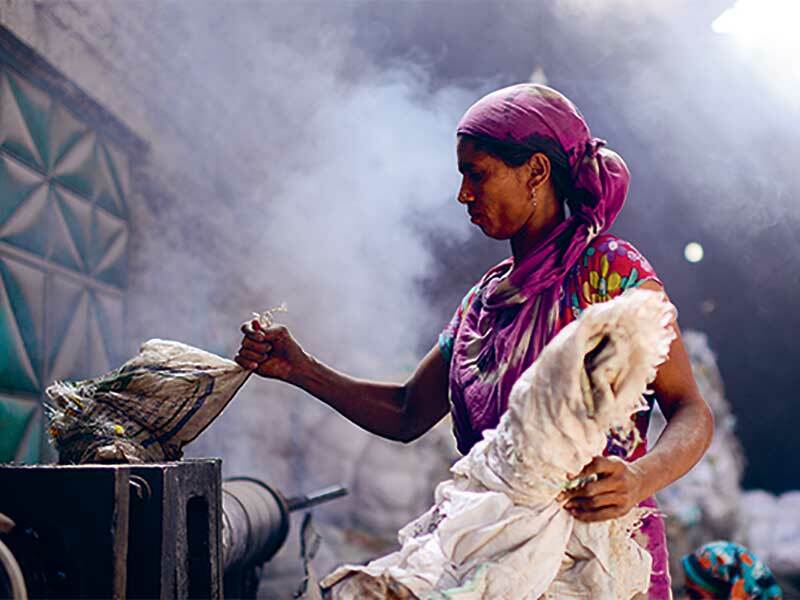 Fifteen million people – including children – earn a living from the waste. They often work in dangerous conditions, risking their health, sometimes their lives; and it’s very difficult to improve their working conditions. Dirty Work shows the everyday lives of people who work with waste. 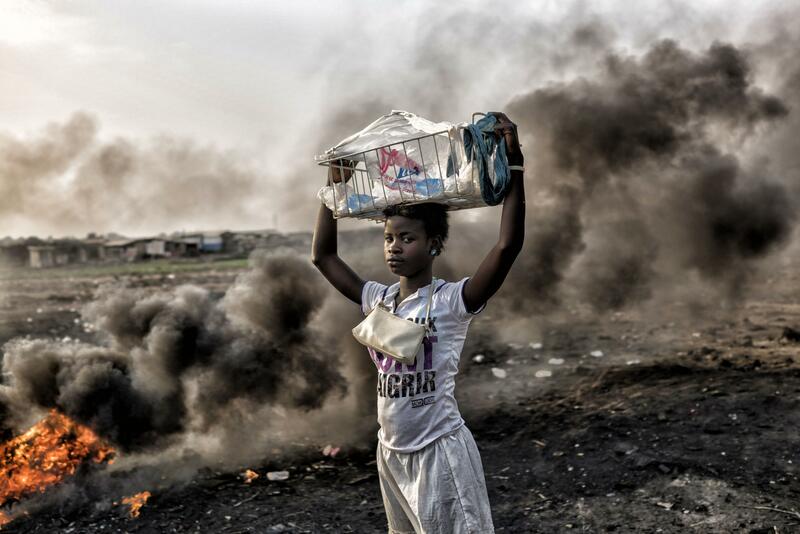 A young girl stands in the burning fields of Agbogbloshie dump near Accra – toxic smoke behind her. From early to late every day, workers – usually young, male migrants from the north of Ghana – burn car parts and electronic waste so they can get copper - and they get money or food for this. Basel Action Network, an NGO in Seattle, says that people ‘process’ millions of tonnes of e-waste from industrialized nations at Agbogbloshie each year. The people are not making a living from waste, they are simply surviving. 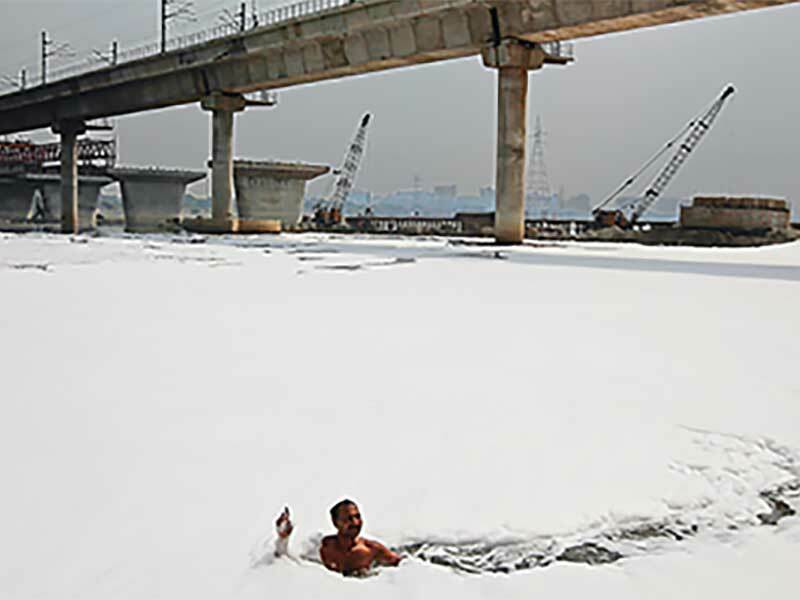 A man swims through thick, white foam as he collects the recyclable items he can find in the Yamuna – India’s most polluted river – near New Delhi. India’s Central Water Commission says this river cannot be saved. It is a terrible mix of household and municipal waste, waste from commercial and industrial sites, eroded soil, and chemicals from fertilizers, herbicides and pesticides. A Bangladeshi woman working in a plastic recycling factory in Dhaka. Bangladesh was the first country to ban single-use plastic bags, but it has a growing plastic recycling industry. The workers are not recycling plastic from Bangladesh. It’s the 22 million tonnes of recyclable waste often shipped from the UK. And, like the famous textile factories in Bangladesh, workers often get little money and have to breathe poisonous air. Deoclides Nascimento Brito and Valdineide dos Santos Teixeira work as ‘catadores de lixo’ (collectors of recyclable material). 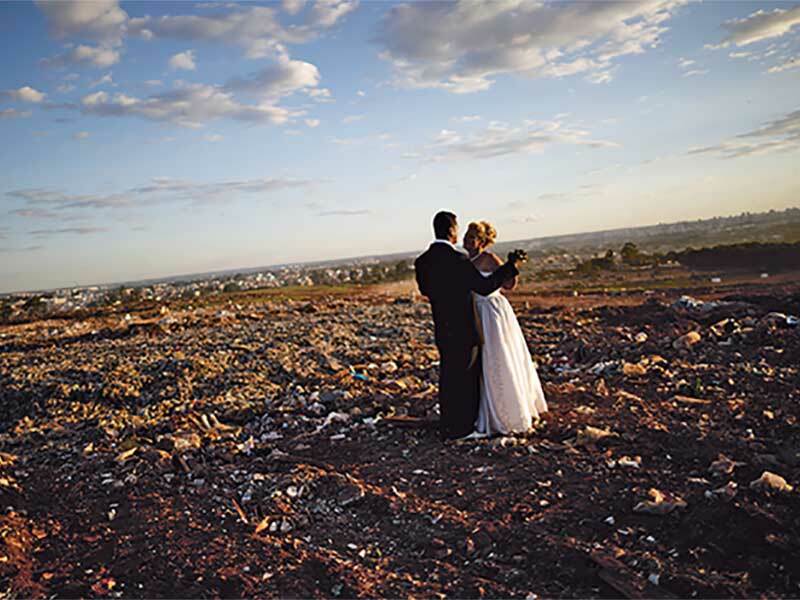 They are posing for a photo after their wedding at Lixão da Estrutural – this used to be the biggest rubbish dump in South America, and is in Brasília, Brazil. The dump was closed in January 2018, a short time after their wedding. Plastic pollution fills up the rivers in Brazil and helps to cause terrible floods. Community projects help people understand what is happening and support people who live from collecting recyclable waste. 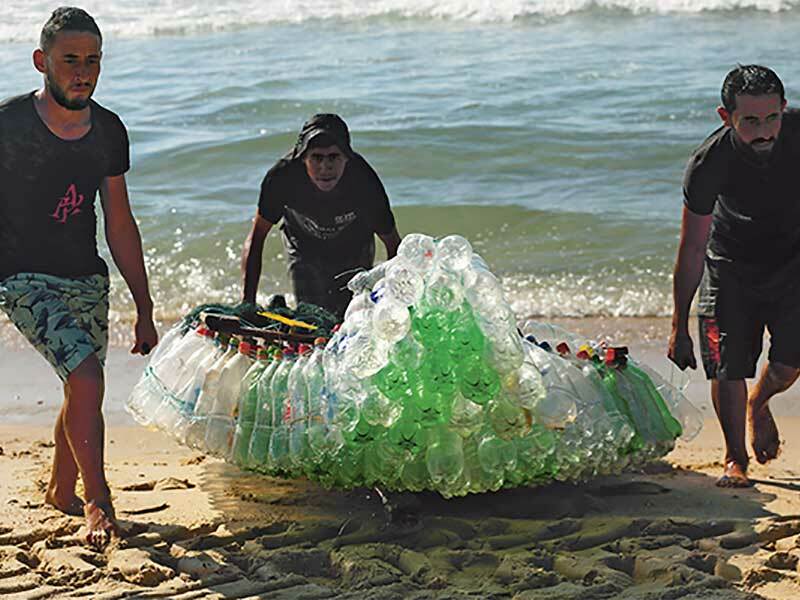 Palestinian fisherman Mouad Abu Zeid (right) and his friends bring in the fishing boat he made from plastic bottles on a beach in Rafah in the southern Gaza Strip. Zeid tied the 700 empty bottles together with thread from old fishing nets to make a boat. It can’t sail very far, but he is able to catch seven or eight kilos of fish every day. This page was last edited on 30 December 2018, at 18:49. This page has been accessed 204 times.